How do I know if a hearing protector is safe to use in an MRI machine? 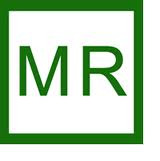 Look for the Green MR Safe Logo! 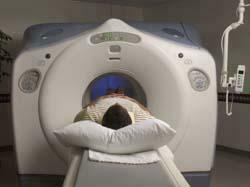 By now, many people are aware that MRI (Magnetic Resonance Imaging) machines make a lot of noise. The fact is that an MRI machine produces noise levels that are not only uncomfortable, but at up to 105 dB, MRI machines can actually damage your hearing. Virtually all MRI technicians will provide you with some form of hearing protection, though what they offer you may be uncomfortable for you to use. If you want to bring your own hearing protectors that you know will be comfortable for you to wear, you will need to be sure 1) that the MRI facility will allow you to bring your own (be sure to call and check before you buy a product you plan to bring with you.) and 2) that the hearing protector you choose is safe for use in an MRI machine. Items that may be used in an MRI machine are rated with one of three FDA approved designations: "MR Safe," "MR Conditional" and "MR Unsafe." Any hearing protector you plan to use in an MRI machine needs to be rated as MR Safe. The MR Safe designation and the logo shown below are displayed on descriptions of all the ear muffs we offer that qualify for the rating. In addition to ear muffs, most banded ear plugs, disposable foam and reusable ear plugs are MR Safe. We have not identified these because only those labeled as metal detectable, are MR Unsafe.